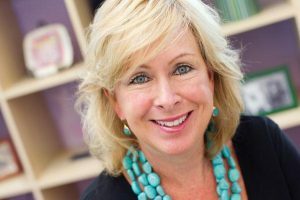 Barb Clapp, founder and CEO of Clapp Communications, brings more than 30 years of advertising, marketing and business development expertise to her agency. She opened the agency in October 2001 with her first account being Comcast Corporation. She was responsible for all public relations and events that took place surrounding the merger of Comcast and AT&T, into the Washington, DC, and South Florida markets. The agency grew immediately with the addition of several national accounts including the retail chain Water, Water, Everywhere and the health care company FutureHealth Corporation. Barb acts as lead project manager for all Clapp Communications accounts and her expertise spans executive and media coaching, marketing strategy, reputation management, branding and messaging, creative conceptualization, public relations strategy, public and government affairs, media planning and buying, advertising and branding campaigns, product launches, and event management. Barb graduated from Loyola University Maryland and began her career in advertising sales with the Times Publishing Group and went on to spend ten successful years with Watersprout Publishing. Her position at Watersprout reached beyond the advertising sales that she handled for the Baltimore Jewish Times and Style magazine as she helped found the Palm Beach Jewish Times, and consulted for the Atlanta and Detroit papers as well. Much of Barb’s knowledge of the advertising industry came while handling hundreds of clients and industries. She developed strong relationships with her clients and became a trusted advisor to them on all aspects of their media, marketing, and advertising plans. It was those advisory relationships that led to Barb’s idea of founding an agency that treated clients the way she thought they should be treated. Barb believes that public relations, event management, advertising, and marketing plans should have great creative, but also be business development and sales driven. She believes that clients come first and the team should deliver what is promised, innovatively, within budget and on time. Barb has received awards and recognition for her CEO leadership over the years which include, most recently, The Daily Record’s Most Influential Marylander, Most Admired CEO, Top 100 Women, and induction into both the Circle of Leadership and Circle of Excellence. A committed community advocate, she also serves on the board of the MD Humanities Council, Signal 13 Foundation, Humane Society of the United States Council, American Diabetes Association CEOs for Stopping Diabetes and was a 2016 Alzheimer’s Association Memory Ball dancer. She has also been appointed by Mayor Pugh to the Board of Directors for the Baltimore Public Markets Corporation. Past volunteer services include Secretary of the Star-Spangled Banner Flag House Board, MDSPCA board and Chair of the Maryland SPCA’s March for the Animals. Barb has extensive experience and success providing strategic communications counsel to numerous high-visibility clients and has been the team lead on every high-profile account at her agency. Her record of success is reflected by her ability to help her clients achieve their goals, elevate their profile, and develop a long-term strategy for communications success. As a result, her client relationships have lasted at least seven years on average. Most clients are referred to Clapp Communications, so Barb relies on current and past client goodwill. Clapp Communications has also won a multitude of industry awards and recognition. Barb is a coveted crisis communications speaker, most recently being invited to be the keynote speaker at the FOP national conference in which her talk centered around the theme, “Crisis Communications, Reputation Management in Policing.” In addition, Barb has been a sought after speaker on other critical issues such as women’s leadership development, mentoring, and the resilience she gained from her own experience in overcoming difficult circumstances.